One of the joys of the FJ is all the diverse artists we feature. For the last year or so, we’ve strayed a bit from our folksier roots and interviewed some fairly big name rock stars, including Eddie Vedder and Billy Gibbons. Why? Because they have good stories to tell and interesting perspectives on music and music-making! 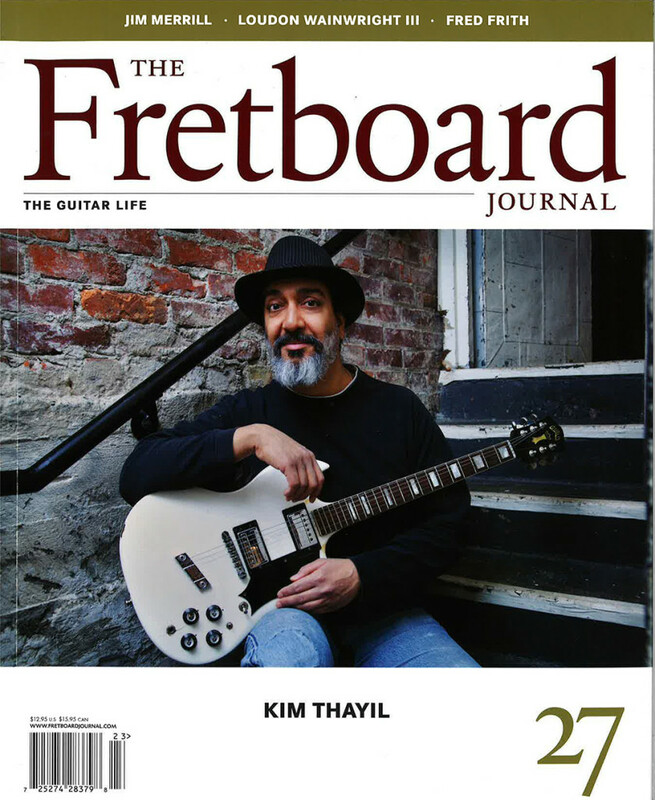 Several months ago, I interviewed Kim Thayil of Soundgarden for what would end up being the cover story for FJ #27. We talked about the Guild electrics he plays onstage, his early influences, Devo (yes, he’s a big fan) and much more. He’s one of the most intelligent and thoughtful artists I’ve ever chatted with. And, in a case of funny (and cool) timing, I just read that Soungarden’s King Animal is the number one rock record in the country right now. At the time we were talking, the album was still in the making. Our new issue packs a lot more into its 128 pages, too. We have a lengthy (22 pages!) 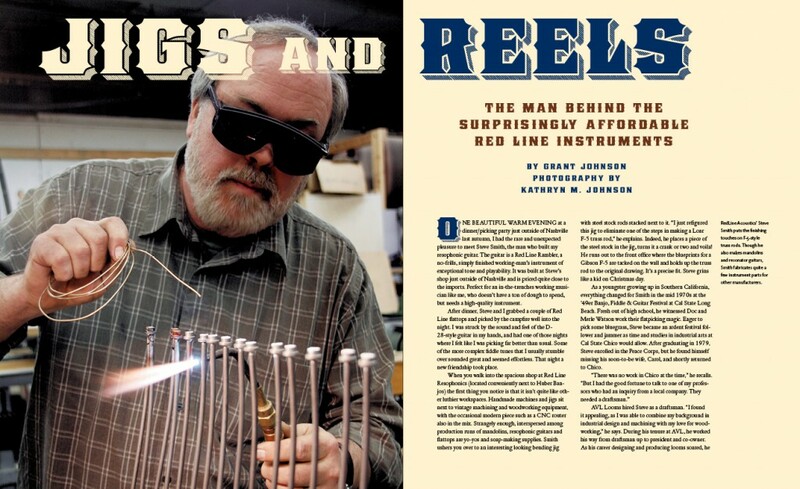 story on Virginia luthier Jim Merrill; an interview with singer-songwriter Loudon Wainwright III; a gorgeous photo essay on Santa Cruz-based electric builder Scott Walker; Musician James Elkington talks shop with improvisation pioneer Fred Frith and a lot more. The issue will be mailing soon to subscribers everywhere. Join our tribe of gear and music lovers if you haven’t yet. Armed with a box of Brazilian rosewood (for a soon-to-be guitar), Art Dudley travels to Virginia to talk shop with luthier Jim Merrill. 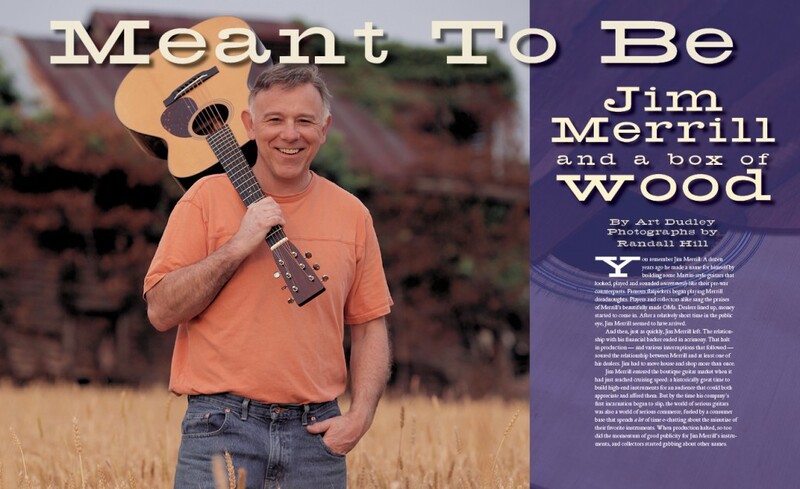 Merrill is one of the foremost makers of Martin-style guitars in the world and has the uncanny ability to infuse his new guitars with the tone and volume of the old ones. Singer-songwriter Loudon Wainwright III may be best known for his witty, introspective songs about life, love and dead skunks. But, when FJ writer Bob Douglas interviewed Wainwright before a recent Pacific Northwest show, the songwriter seemed particularly focused on his own mortality. 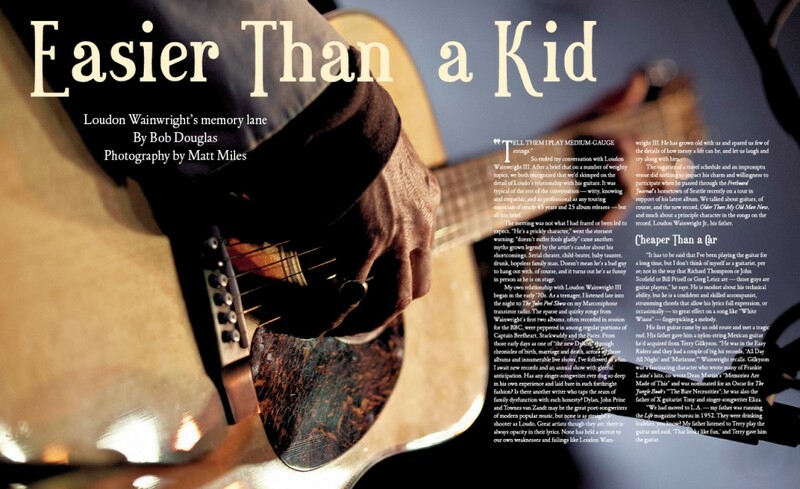 A great interview that covers guitars, ukuleles and growing up. Check out our exclusive video with Wainwright here. In a converted chicken coop in the Santa Cruz mountains, Walker builds solidbody electric guitars and lapsteels with exotic woods and complex electronics. 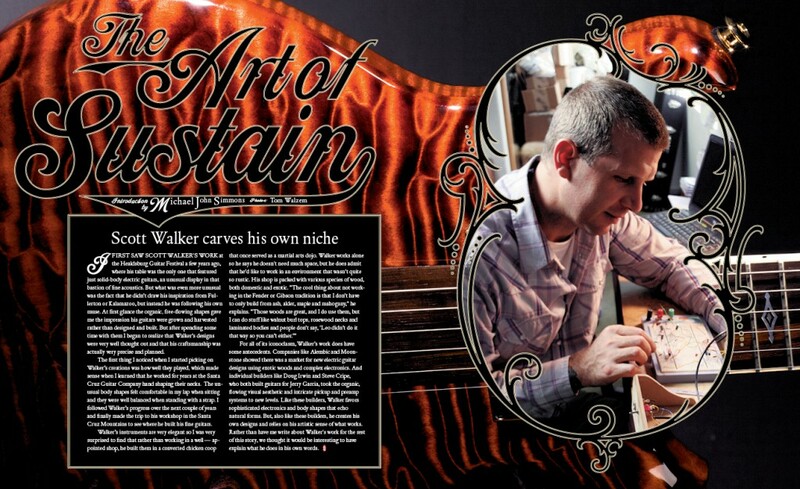 In this lengthy photo essay, we hear in Walker’s own words how he designs his ever-evolving, aesthetically perfect instruments. 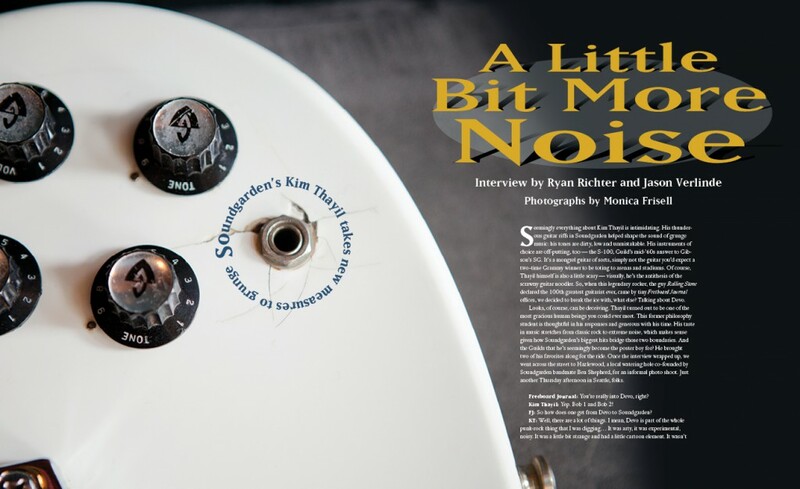 The soft-spoken Soundgarden guitarist responsible for some of the biggest and grungiest sounds in rock & roll history talks to FJ publisher Jason Verlinde about his love for Guild electrics, his obsession with the band Devo and the sounds that continue to shape his playing style. Seattle photographer Monica Frisell takes shots of Thayil and his S-100. 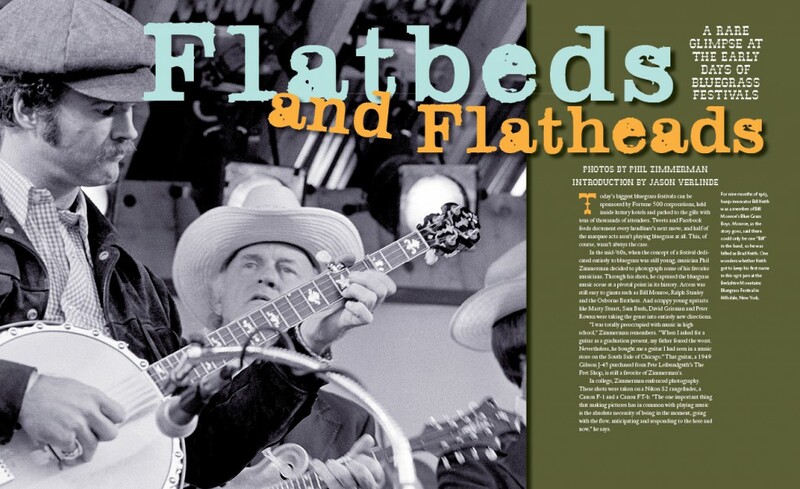 From his RedLine Rambler Deluxe resonator guitar to his Traveler mandolins and even some flattops, builder Steve Smith is somehow able to make hand-built instruments at fair prices. His secret? As writer Grant Johnson finds out, it’s that Smith employs the production methods he picked up while working for Gibson and other large-scale manufacturers to make his limited run guitars and resonators. Musician Phil Zimmerman’s book, Bluegrass Time: A Musician’s Photographs of the Early Days of Bluegrass Festivals, captures the bluegrass scene at a pivotal point in its history, when scrappy young upstarts were taking the genre in entirely new directions. Included in photos are Bill Monroe, David Grisman, Ralph Stanley and Sam Bush.